This model is both versatile and practical. The Eclipse Hull ensures smooth manoeuvrability, precise handling and stability at rest. A perfect companion on caravan holidays weighing in at only 63kg and packing a maximum 10hp rating. 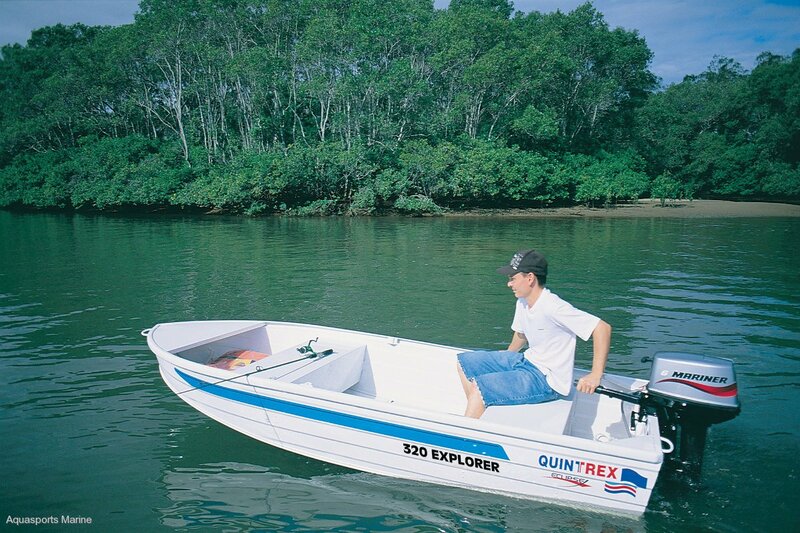 Quintrex 320 Explorer Dinghy sold as Hull only or package one up with the world's most popular outboards - Mercury or Yamaha.